With an evenly-divided United States Senate, the stakes are high for the nation's political power brokers. The leader of one party decides to change the numbers by arranging the elimination of one of the other party's senators. As the senator's death sends shock waves through the nation's capital, federal prosecutor Jeff Trask and a team of FBI agents and police officers must solve not only the senator's homicide, but the murder of one witness and the attempted murder of another. 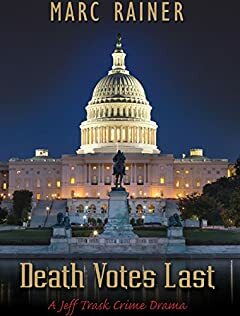 Further complicating their efforts is the fact that the trial of the killer must take place in the political swamp of Washington, D.C. As Trask and his team investigate the deaths and prepare for the trial of the century, the nation's political fate hangs in the balance. ËƒËƒËƒ Death Votes Last is the gripping fifth standalone installment in the best-selling Jeff Trask Crime Drama series. You wonâ€™t be able to put it down!